Arizona Governor Doug Ducey announced Friday evening that a SWAT team has a person in custody suspected in the I-10 freeway shooting spree in Phoenix. The suspect is connected to the first four shootings, officials said. The arrest was made by the Arizona Department of Public Safety SWAT team (DPS). Arizona DPS Director Frank Milstead confirmed the arrest of the I-10 shooting suspect as well, according to local Fox 10. Citing a source at DPS, Fox 10 added that the suspect has "anti government" views and used a handgun. The suspect has been identified as 21-year-old Leslie Allen Merritt by officials. Local media has already begun digging into the suspect's social media accounts, bringing up videos of him shooting a gun outside. However, the suspect's father told local ABC 15 that his son is not responsible. So far, the gun being linked to the suspect has been traced to four of the freeway shooting incidents, Phoenix City Councilman Sal DiCiccio said in a Facebook post. Milstead said the suspect was linked "forensically" to the gun and related to four of the shootings. He added that it's possible there are still copycats. Gov. Ducey’s spokesperson told reporters the suspect was captured at a Walmart. DPS sources also told local media that investigators had their eyes on the suspect all day Friday at Walmart. Multiple sources, meanwhile, told ABC 15 the suspect is being questioned for trying to pawn a gun that is suspected of being used in shootings. Ducey added that the investigation remains ongoing. Great work by @Arizona_DPS investigators and SWAT team. Investigation remains ongoing. DPS has 11 cases under review from the I-10 shooting spree, which began on August 29, 2015. 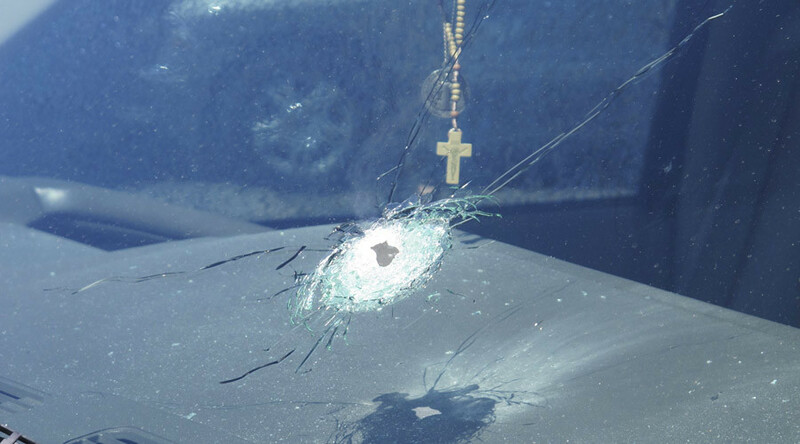 The shootings involved bullets and projectiles that were fired at vehicles traveling on the freeway in the Phoenix metropolitan area. No one was injured in the incidents but a 13-year-old girl was cut on her ear by flying glass from a car window that was hit by one of the projectiles.